Here’s a very cool history lesson from Thugs of Hindostan! 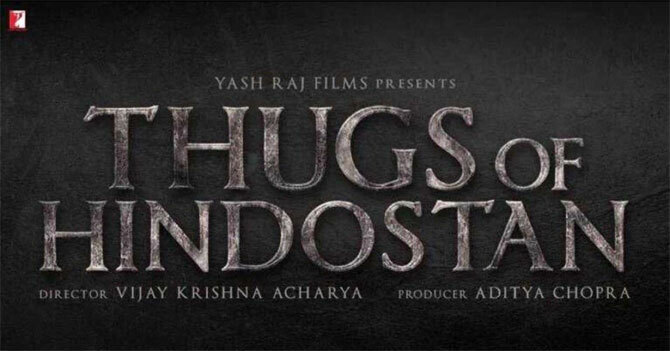 As you probably know Yash Raj Films’ mega flick Thugs of Hindostan, is set in Malta, a picturesque European island nation, and has filmed extensively on the high seas there. Malta is fairly distant from India both geographically and culturally, however there’s actually a few unique details that connect Malta to India. Writer-director Vijay Krishna Acharya and the film’s star Aamir Khan both experienced the interesting India connection while filming here. Slices of history from India’s sea faring past overlap with local folklore in Malta often, which made the entire shoot schedule in the island quite interesting for the film’s crew. An entertainer that deals with a period of adventure and action on the high seas, Thugs of Hindostan has been partially shot on two massive ships put up on the coast of Malta, Europe. An imaginative journey, this mega flick co-stars Aamir Khan with Amitabh Bachchan for the first time ever and also features Katrina Kaif and Fatima Sana Shaikh. 15 queries in 0.398 seconds.